Investment wines: Which should I buy? Fine art, classic cars, handmade watches and chronographs, especially of Swiss origin – these are the things that most likely come to mind when you think about buying prestige items at auction, and with just cause. These are truly wonderful creations that can command incredibly high sale prices and transform your investment portfolio. But there is one investment alternative that is almost criminally overlooked, and that is fine wine. Oft sorted into the ‘alternative’ category when it comes to investing in desirable objects, along with rare coins, stamps, and other curiosities, wine has recently become increasingly popular for collectors and investors. In fact, 2018 saw the record for the most expensive single bottle of wine being broken 5 times. What are the advantages of investing in fine wine? It may be puzzling to those who aren’t particularly interested in wine as to why anyone would pay so much for a glass container of fermented grapes, but there are plenty of level-headed reasons as to why it could be a safe and considered financial decision. For one thing, much like the other previously mentioned alternative investments, the fine wine market is resilient to economic storms thanks to the niche nature of the pastime combined with the passion of the dedicated collectors. Collecting fine wine is a fairly practical and low-maintenance pastime as well. Hanging fine art requires wall-space and special lighting to minimise fading; watches need cleaning and routine services; classic cars need automotive pampering and a garage that isn’t filled with old paint-cans and spiderwebs. But with wine, all you need is somewhere dry and cool to store it safely (a cellar is the most obvious choice) and then you simply leave it to accumulate value, worry-free. The inherent rarity that comes with a vintage case or bottle is one of the strongest aspects of what makes fine wine desirable both to a buyer and a seller. If you had £200,000 to invest in something, and you bought, say, a Ferrari 488 or a McLaren 720S, then you’ve got yourself a fantastic supercar, but you’ve also bought something that will one day be superseded by a newer, more advanced model. But a 1937 magnum of Bordeaux that is one of a thousand simply remains what it is, and won’t be relegated to obscurity by a newer, better 1937 magnum. What should you look for when purchasing vintage wine? Place of origin – As you will probably know, there are wines with protected places of origin, most famously sparkling white wine from the Champagne region of France. In the same vein, the estate or vineyard where the grapes were grown and subsequently fermented and bottled is key when it comes to the value of an item. Prestigious wineries and chateaus have accrued reputation and thus desirability over time, such as Musigny, Romanee-Conti, Chambertin etc. Researching the history and appeal of a winemaker is an advisable step before investing. Age – everyone knows the phrase ‘aged like a fine wine’ and naturally it applies here. Many of the most valuable single bottles ever sold at auction were first pressed and bottled pre-1900, with some being as old as 1789. Of course, age alone does not generate worth, but it is a key factor. Providence – proof of origin and the history of the bottle/case. Auctioneers will of course make sure that any item has the proper certification and proof of authenticity, but this is still something to bear in mind when buying or selling. Fakery and deception are the nemeses of any collector, and keeping your guard up is key. Much like art, cars, and other coveted items, wine can be either sold privately via merchants or auctioned off. Notable auctioneers such as Sotheby’s and Christie’s have their own dedicated branch for the subject, offering rare and desirable lots for sale with expert authentication. The numbers being reached before the gavel falls have shot up in recent years. Below are but a few examples of bottles or cases sold at auction, notable for their price and/or their heritage. As mentioned before, the 2018 Sotheby’s Wine auction saw the world record for a single bottle of wine being broken repeatedly, with this particular item ultimately taking the top spot. Domaine de la Romanee-Conti, a French estate with over seven centuries of experience, holds the reputation amongst collectors as being the best source of the world’s best wine and this bottle of 1945 vintage may very well be just that. If you wish to pour yourself a glass of heritage and history, you may need some substantial capital to do so, as there are now only 600 bottles of this lot in existence. This bottle is an example of how a wine’s story can also add to its allure. Recovered from the seafloor over five decades after the ship it was onboard was sunk by a German U-Boat, this champagne sold at 228,000 euros at a Moscow auction. Hopefully the taste of this rare wine hasn’t been tainted by unwanted notes of saltwater. Coming from a renowned French vineyard and being over two centuries old, it is no surprise that this bottle of Chateau Margaux commanded 191,000 euros at auction. But it transpires that age and quality are not the only reasons this bottle was so highly sought after. It had in fact been owned by Thomas Jefferson, third president of the fledgeling United States, which elevated it beyond a ‘regular’ bottle of 1787 Chateau Margaux. Unfortunately, the bottle was dropped not long after it was bought at auction. 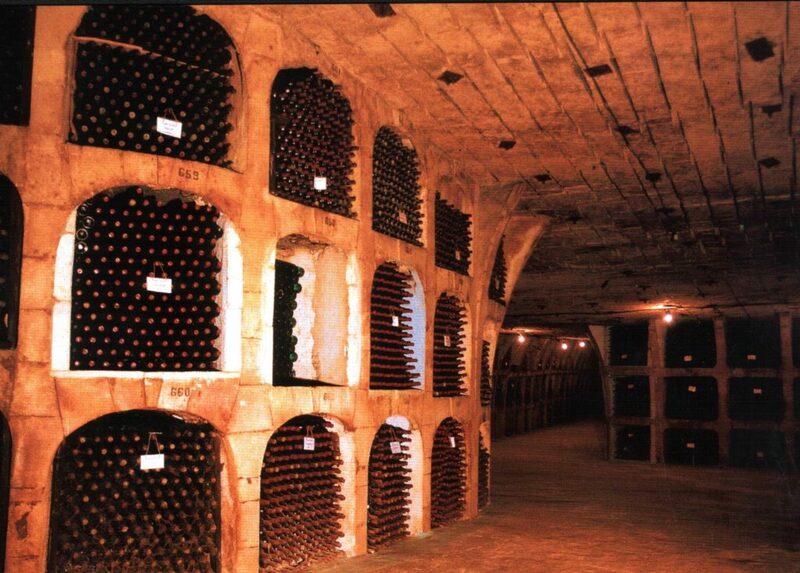 Cases are also an option for the prospective wine investor. If you’re a wine enthusiast, and the idea of buying and reselling without tasting the sublimity of what you’ve purchased feels almost sacrilegious, then a case might be the best solution. Here, you can buy 6 bottles in a single fell swoop, savour and enjoy one and sell the 5 on individually. It might not be the most efficient strategy from an investment perspective, but sometimes you’ve simply got to treat yourself. Of course, much like the other areas of investment, there are many strata when it comes to buying and selling wine. Six-figure single bottles are the upper echelon, and there are still plenty of desirable yet moderately priced wines that can still be a valuable addition to your portfolio. Some Chateau Lafite-Rothschilds can be had for as low as £2,000 and there are plenty of online auctions that can help give you an insight into the market itself. Equally, you might think you have to wait decades to make any return – in fact, experts have advised that between 5-10 years is the optimum length of time for reselling. Wine prices at auction have increased roughly threefold over the last decade, and this upward trend is likely to continue as more people are drawn in by the relative security of the market and the inherent charm that comes with trading objects with a great deal of history. A good wine can help elevate a meal to new heights, but a truly great wine could benefit you and your portfolio hugely. If you’re looking to pawn fine wines, get in touch with us today. Our Blenheim Street shop is based in the heart of Mayfair. Appointments can be made, but are not 100% necessary; we’re always happy to take walk-ins. We look forward to seeing you – and your fine wines – very soon. Some of the wine we loan against includes Chateau Petrus, Chateau Margaux, Chateau Lafite and Chateau Mouton to name just a few.